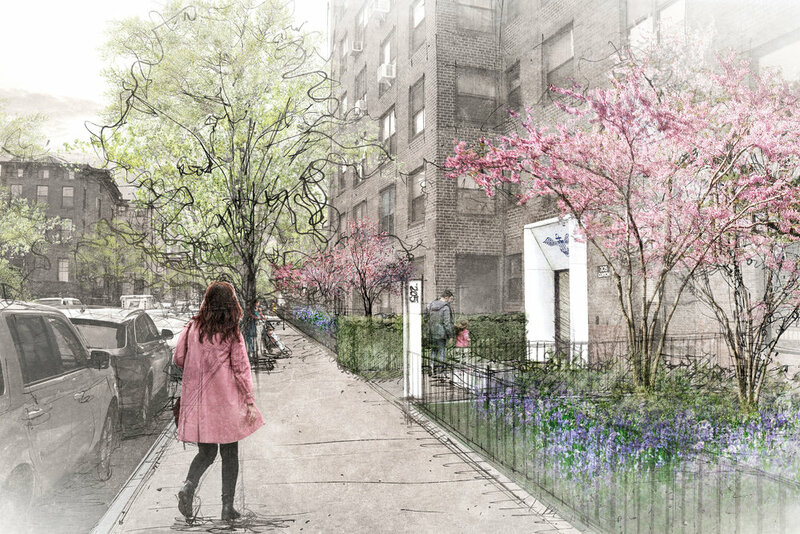 RAFT is transforming the campus of this 12-building cooperative housing community into a series of lush, playful, and accessible gardens with upgrades to circulation, lighting, and stormwater management. 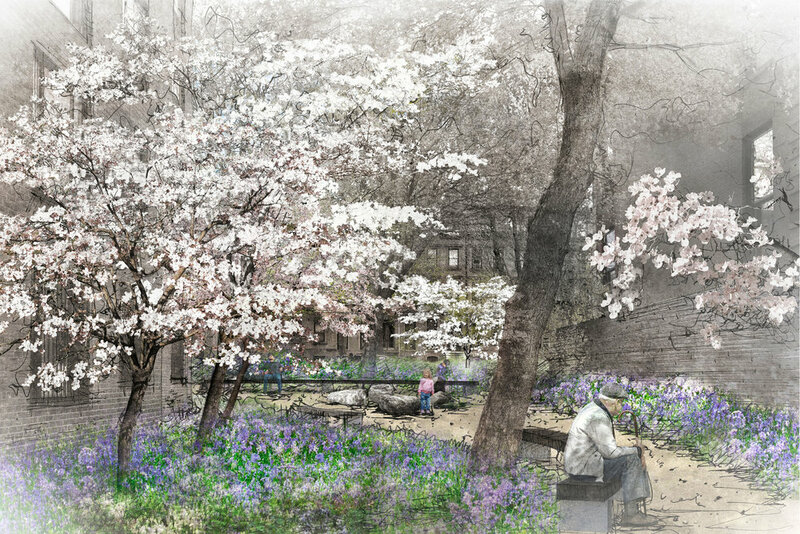 The renovation will include the establishment of a next generation of canopy trees and reintroduce layered plantings which will provide screening, mark seasonal change, stimulate habitat value, and soften the impact of the large towers. 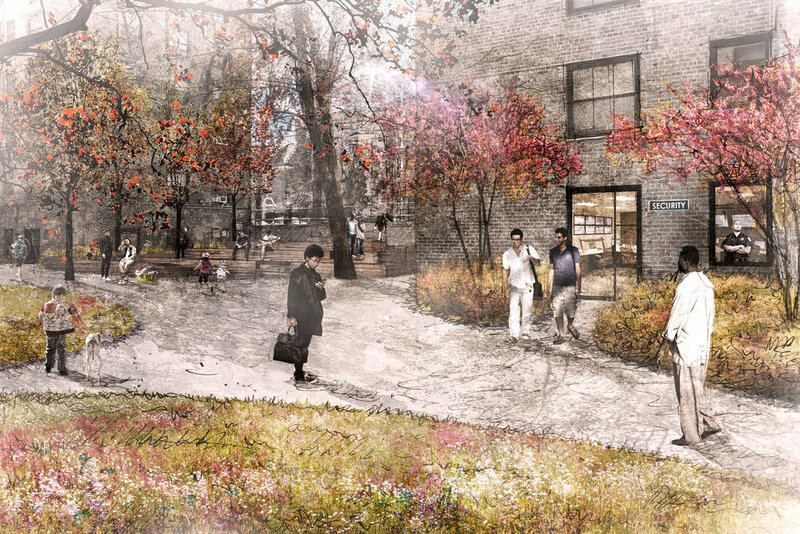 RAFT created a blog to engage residents in the process--from design through construction. The Clinton Hill Cooperative Apartments were built in the 1940s as housing for Navy Yard workers, with a set of unadorned brick towers set back from the sidewalk within a park-like landscape. In the intervening years, shrubs, perennials, and ground covers have been removed. 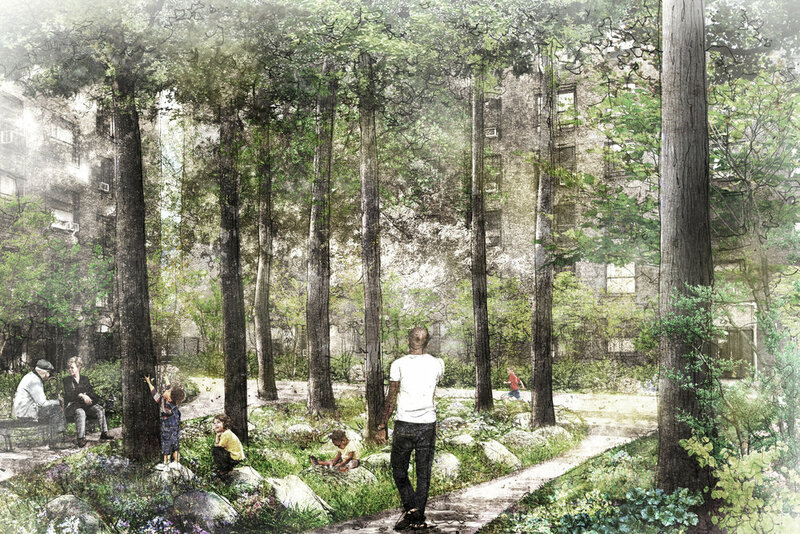 The landscape is characterized by large areas of underperforming turf and a high canopy of shade trees. Security fences and harsh lighting added during a long period of neighborhood disinvestment came to dominate the campus. 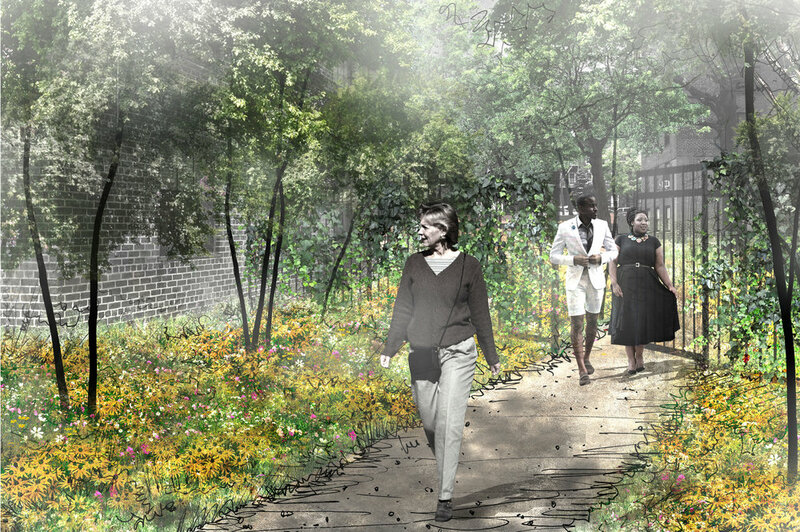 The new design will produce a safe environment by increasing care and engagement by gardeners and residents while limiting fencing, lighting, and cameras to a support role. 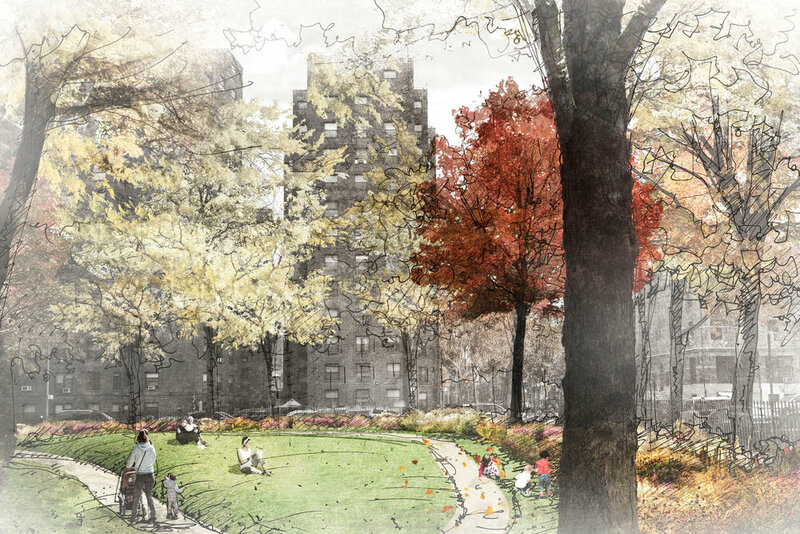 Collaborators in this project include: AKRF, Gannett Fleming, dcap, F2 Environmental Design, Patrick Cullina, Sighte Studio, and Stuart Lynn.